Crossroads sells fair-trade coffee from a small farm and social enterprise in Nicaragua, Cinco Toucanes. Super-yummy to sip. And proceeds benefit a great project. It’s part of our “Fair Trade” program, where a portion of profits of sales benefit the Crossroads Border Project. 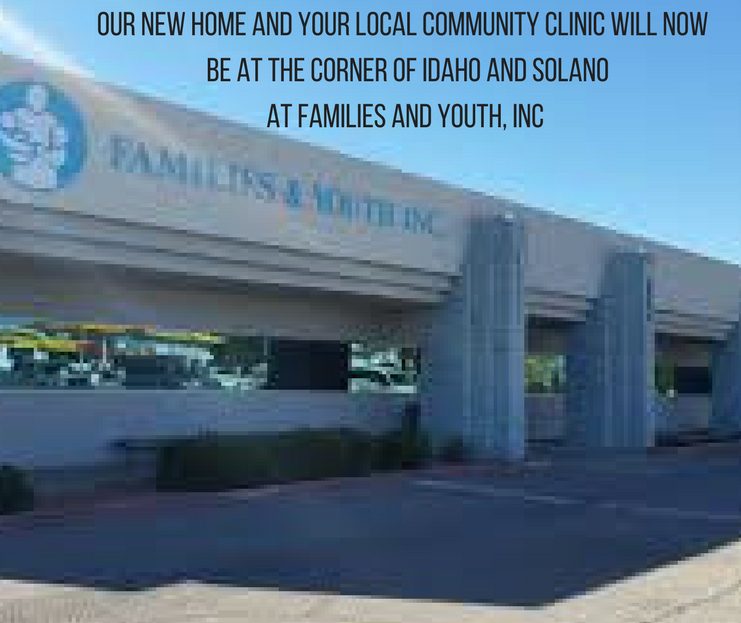 You can visit our clinic 130 S. Main or come to our Fair Trade booth any Saturday for the farmer’s market in downtown Las Cruces, on the South Main end of the market. Just look for the tent draped in Prayer Flags! Follow Cinco Toucanes on Facebook. Almost all coffee on this planet is produced in the tropical “third world”, but the great majority of coffee is consumed in the United States and Europe. 90% of profits in the coffee industry remain in the “first world”, while a meager 10% go back to the countries where it was produced to be distributed between the local middle men, the growers and the pickers. This year, in Nicaragua, the cost of picking the coffee is over half the price being offered by the coffee buyers. Because the price is so low, (right now, international coffee prices are below the cost of production) farmers are losing their farms, their livelihoods, but somehow there are record profits in the coffee industry? So here is why we think you should buy coffee from our farm, Cinco Tucanes. This is REAL fair trade, straight from the farmer, no middlemen. Our family plants the seeds in our coffee nursery, helps pick, process, package our own coffee and deliver it roasted here in the US. Ecologically grown, beneath shade, within a natural ecosystem using permaculture techniques. We see our 20 acres as a canvass which will require a lifetime of artistry. We hope to create a vibrant, nurturing ecosystem which will sust ain our family, change our community and make the world a better place. Roasted every week, locally, by our friend Troy Lucas. Freshness and flavor is unequaled as it is always just out of the roaster. This is relationship coffee! Everything we do is about building a relationship directly from the farmer all the way to you. Everything is done locally, with friends, family, neighbors. From picking, pulping, washing and dry processing, shipping, roasting, selling, this is all done by our people and is part of our unique international community. We welcome you to be a part of this circle by helping to support our family farm through your purchase. This is not just a business, it is a lifestyle. Our dream is that our farm project can provoke positive change in our family, our communities and in the world, and that process must begin through our changing of ourselves! We have had an interesting relationship with toucans ever since we first bought the farm. In the early days we lived in a tent while cleaning the old vines and weeds off of the old coffee plants. For the first two years we had a pair of toucanets (smaller and less brightly colored than toucans) who would come sit in their favorite tree right beside where we built our house. At least once a week they would come sit right next to where we were working and we learned to distinguish their unique call. A second part of the farm was bought in a state of abandon and the grass and weeds had grown up to the height of my shoulder. 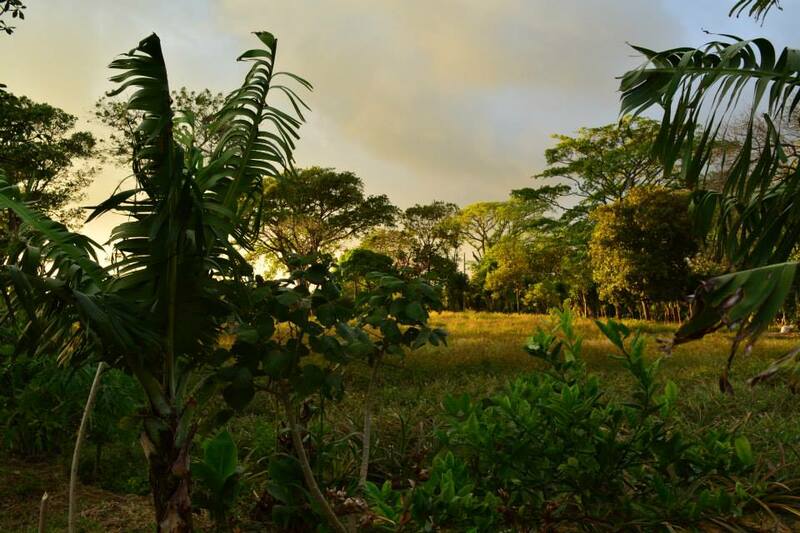 I went out early one morning with my machete and began clearing the entrance to the little house, as the evening before we had made a verbal commitment to buy. I was trying to make the place look like someone was taking care of it, to discourage loggers and neighbors from ransacking the property for building materials and wood. As I was working, five toucans flew up and began playing and making noise right above me for over a half an hour. I took this as a sign that we should proceed with the buying of the property and the vision of the farm. One year later, I was having a somewhat low time, worrying about how we could live off the farm. I was feeling inadequate as a farmer and wondering why I had taken on debt in order to buy land which I would now need to take on more debt in order to be able to plant. It was Christmas day, and as I sat in a hammock in our outdoor kitchen, five toucans came and accompanied us (this time I was with Evelin, Sammy and my in-laws). For over a half an hour they ate guayaba just twenty feet over from the house. 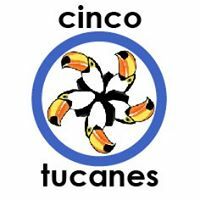 Once again it was exactly five toucans, and at that moment I decided that the farm and all our products would use the name Cinco Tucanes. Shortly afterward some friends came to visit and brought us a small Christmas present, a mobile of brightly painted toucans made of balsawood; again it was five toucans and this reaffirmed my idea. Ironically, soon after, we were debating whether to buy an old truck. I didn´t know if it was too big a guzzler and too old for us to maintain on our meager farm income. While eating breakfast we suddenly heard a toucan, ¨cling cling, cling cling¨, sounding almost as if it was inside our house. I ran out the back door and looked in the direction of the sound. We don`t usually hear toucans that close to the house, but sitting on a branch about three feet above the truck we had borrowed for a test run, was a pair of black toucanets, with a bright red patch on their rears. The next day we bought the truck.